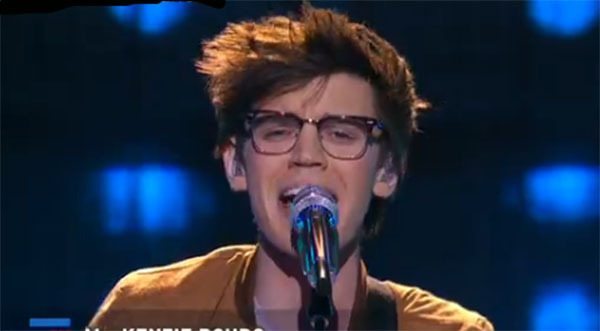 MacKenzie Bourg sings a slow down version of ‘I Wanna Dance With Somebody’ on American Idol Top 8 Live Show, Thursday, March 3, 2016. “Your voice is beautiful. I love the whole thing going on there,” said Keith Urban. “Some switched didn’t work. But you really pulled it of very nicely. Just let go your voice a little bit. That was amazing and you did a very good job,” said Jennifer Lopez. “That was a great song choice. For me it was nice and pleasant but if you want to have their vote, you have to do something special,” said Harry Connick Jr.
What can you say about MacKenzie Bourg’s performance? Sound off below.